1) Xin Wang, Yaowu Sha, Zemei Ge, Wei Wang, Runtao Li*. Fragmentation patterns of novel dithiocarbamate derivatives with pharmaceutical activity under electrospray ionization tandem mass spectrometry conditions. Rapid commun. mass spectrum., 2011, 25(2): 349-354. 2) Xin Wang, Ang Li, Wei Wang, Runtao Li*. Fragmentation patterns of novel dispirocyclopiperazinium dibromides with strong analgesic activity under electrospray ionization tandem mass spectrometry conditions. Journal of Chinese pharmaceutical sciences, 2011, 20(1): 42-46. 3) Jin-ming Liu, Xin Wang, Ze-mei Ge, Qi Sun, Tie-ming Cheng, Run-tao Li *。Solvent-free organocatalytic Michael addition of diethyl malonate to nitroalkenes: the practical synthesis of Pregabalin and g-nitrobutyric acid derivatives. Tetrahedron 2011, 67 (3): 636-640. 4) 王欣,刘文俊,李刚,叶加,程铁明,李润涛*. 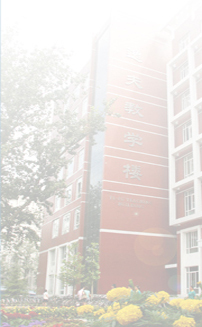 双螺环哌嗪季铵盐类化合物的合成及镇痛活性研究 有机化学，2010, 30(10): 1559-1562. 5) Junfeng Wang, Xin Wang, Zemei Ge,* Tieming Cheng and Runtao Li. * Highly enantioselective Michael addition of cyclopentanone with chalcones via novel di-iminium mechanism. Chem. Commun., 2010, 46: 1751-1753. 6) Xin Ai, Xin Wang*, Jin-ming Liu, Ze-mei Ge, Tie-ming Cheng, Run-tao Li* An effective Aza-Michael addition of aromatic amines to electron-de？cient alkenes in alkaline Al2O3. Tetrahedron, 2010, 66 (29): 5373-5377. 9) Xin Wang, Yaowu Sha, Xueling Hou, Runtao Li. Electrospray ionization tandem mass spectrometric analysis of fragmentation patterns of dithiocarbamate derivatives. Rapid commun. mass spectrum., 2006; 20: 719-722. 10) Xin Wang, Yaowu Sha, Runtao Li. Fragmentation patterns of novel dispirocyclopiperazinium dibromides with strong analgesic activity under electrospray ionization tandem mass spectrometry conditions. Rapid commun. mass spectrum., 2004; 18: 829-833. 11) Xin Wang, Yaowu Sha, Runtao Li. Fragmentation patterns of novel dispirocyclopiperazinium dibromides with strong analgesic activity under electrospray ionization tandem mass spectrometry conditions. Int. J Mass Spectrom., 2004; 235: 111–115. 12) Xin Wang, Feng-Li Gao, Hong-Bin Piao, Tie-Ming Cheng, Run-Tao Li. Unique spirocyclo- piperazinium salt. Part 2: Synthesis and structure-activity relationship of dispirocyclo- piperazinium salts as analgesics. Bioorg. Med. Chem. Lett., 2003, 13:1729-1732. 13) Feng-Li Gao, Xin Wang, Hong-Mei Zhang, Tie-Ming Cheng, Run-Tao Li. Unique spirocyclo- piperazinium salt I: Synthesis and structure-activity relationship of spirocyclopiperazinium salts as analgesics. Bioorg. Med. Chem. Lett., 2003, 13: 1535-1537. 14) Jing-Chao Dong, Xin Wang, Run-Tao Li, Hong-Mei Zhang, Tie-Ming Cheng, and Chang-Ling Li. Synthesis and analgesic activity of hydrochlorides and quaternary ammoniums of epibatidine incorporated with amino acid ester. Bioorg. Med. Chem. Lett., 2003, 13: 4327-4329.